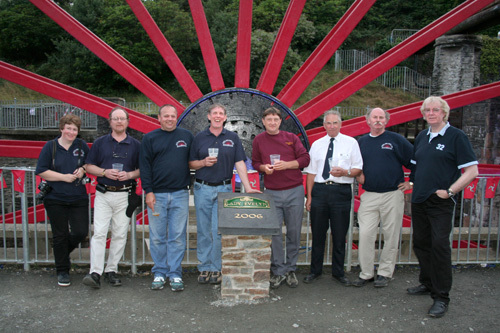 Above: The team with Members of the Trevithick Society who handed back the wheel. Centered, Sue Maunders, Brian Earl, Kingsley Rickard and Pete Joseph. 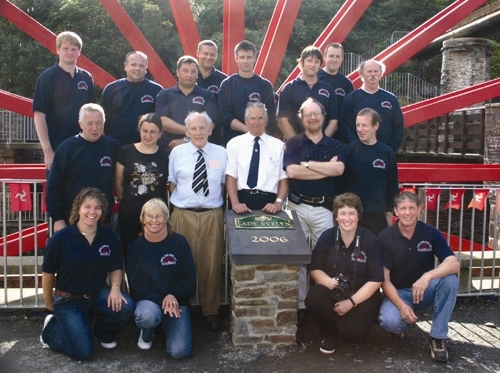 Above: Wheel recovery team 2003. Kevin Baker, Kingsley Rickard, Mike Dobson, Fred Conan. 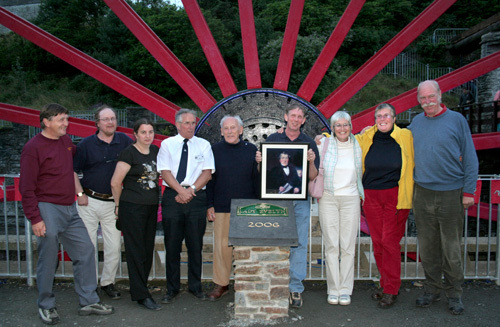 Above: The Cornish, Pete Geddes with Gilbert and the three great grand children. 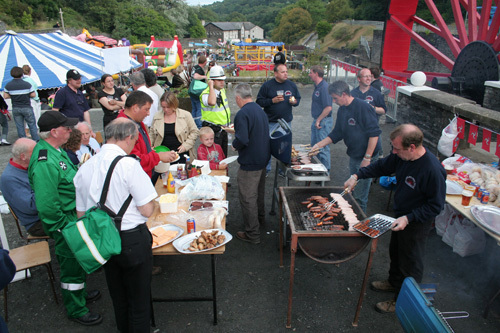 set up for the project team and the VIP guests. 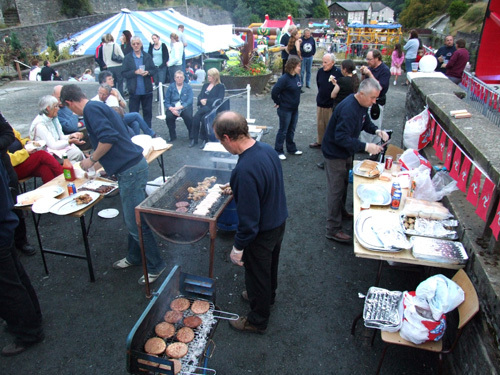 for supplying the BBQ foodstuffs. specially produced for the occasion by Martin Brunchweiller of Bushy’s Brewery. 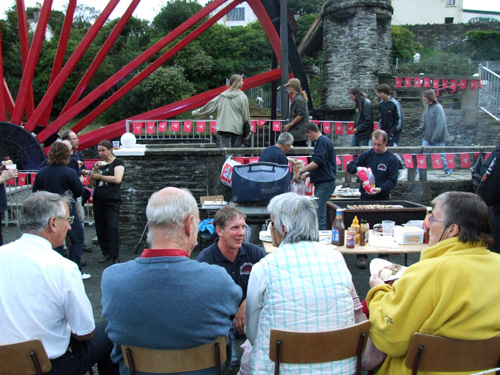 Above: Pete Finds time to chat with some of the guests.